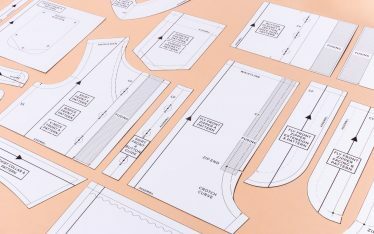 Using cut and spread can be a daunting technique, and the idea of cutting into a pattern piece in the wrong place can put you off the concept altogether. However, it’s a great technique to master as it allows you to visually see the changes that you are making to the pattern in a tangible way. 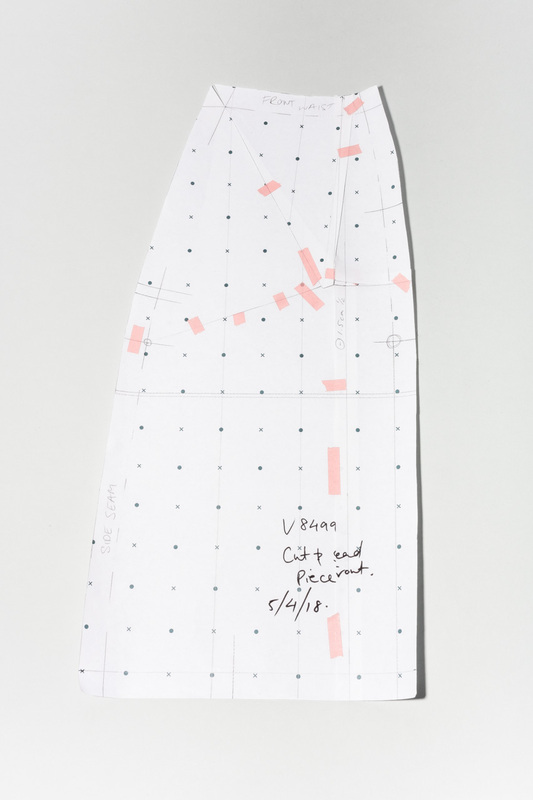 Sometimes, if you aren’t sure how you want to go about the pattern change, you can make a very small version of the pattern and cut and tape it. It doesn’t have to be an accurate shape or proportion for you to still grasp the ideas of where the volume is going to be moved. And then you’ll have a better sense of what your plan is before you carry it out on a larger scale. 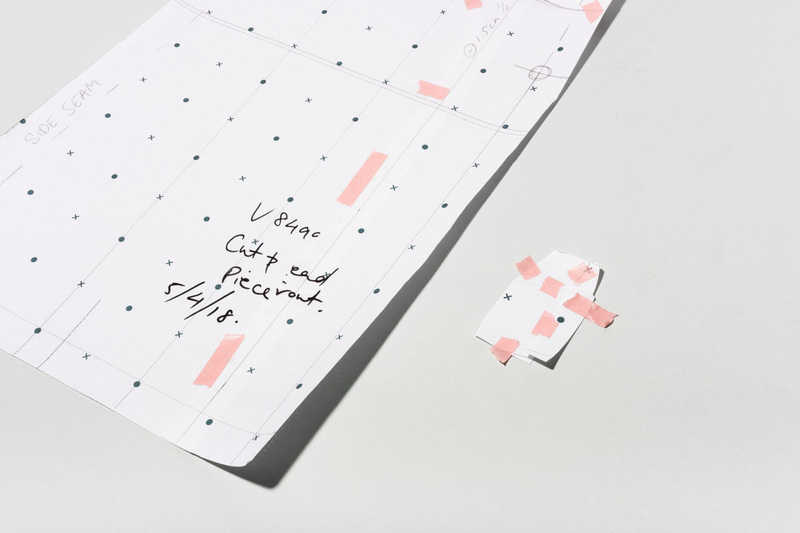 Sometimes you can even approach the same pattern change in multiple different ways, so creating mini cut and spread experiments allows you to weigh up your options. The images from this post are from the pattern changes that we made to the V8499 trousers from Vogue patterns. You can see these changes explained in more detail in the post Pattern Alterations Toile No. 1: V8499 Trousers from Vogue Patterns. 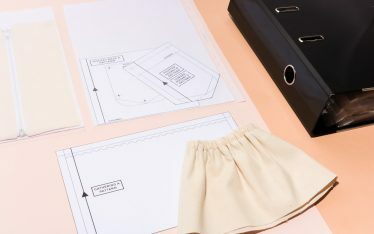 The photos show how you can make a tiny version of your pattern to cut into and trial moving the different elements around. 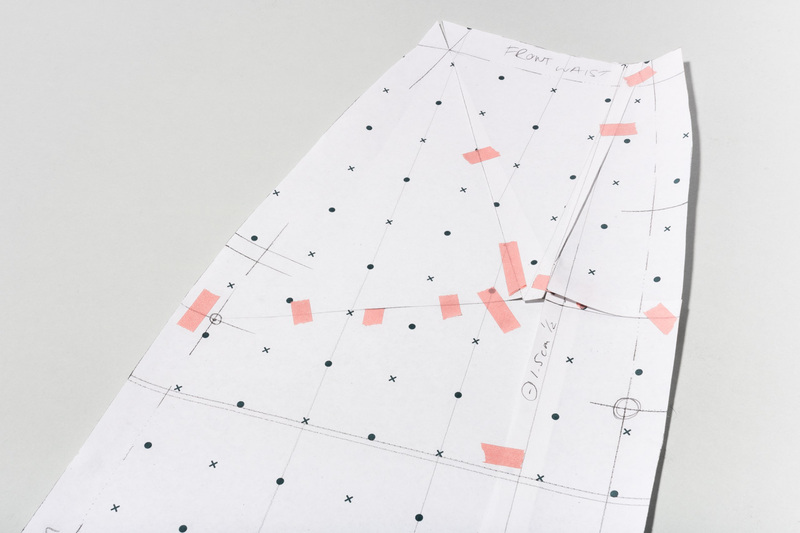 If you are unfamiliar with these terms, then cut and spread is a pattern cutting technique where you make a copy of your pattern piece, splice into the paper as needed and then move the different elements of the pattern around until you are happy with the new shape. You can then secure the shape of the pattern using tape and trace the shape off onto a new piece of paper. 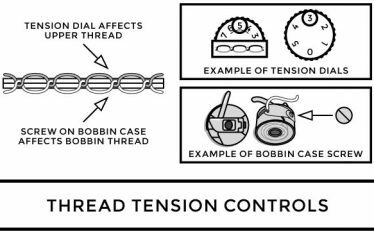 The process of cut and spread is explained in more detail in our book How Patterns Work.